You rely on your Cat® motor grader to cut, spread and level material to create the perfect flat surface during the grading process. Whether you’re constructing or maintaining a gravel or dirt road, operating a motor grader can even complete heavy mining, governmental and construction applications. 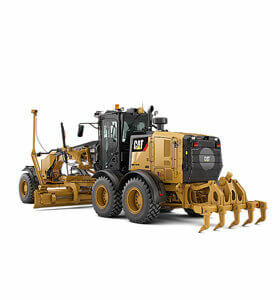 Caterpillar® equipment helps your business finish projects on time and offers top productivity. But when you require replacement parts, MacAllister Machinery is your trusted source in Indiana and Michigan. We supply an extensive stock of new, used and remanufactured parts along with online ordering to support your business. As an authorized Cat dealer, MacAllister grants you instant access to Cat OEM replacement parts for your motor grader. With the reliability and quality you’ve come to know with the Caterpillar brand, our new parts meet premium brand standards for consistent and long-lasting performance. They give you the best return on your investment, helping you boost your bottom line and production levels. Visit one of our locations or even order online at Parts.Cat.Com. You know your equipment can only work as well as the parts it’s made of, so your best bet is to rely on OEM parts. They maintain the high performance of your motor grader and deliver the greatest efficiency. If you want to lift your productivity to new heights, trust the most superior parts available. OEM parts will give you the security that your machine will respond even during your most challenging tasks. They also extend your equipment’s service life while decreasing ownership and operating costs. Choosing used Cat parts for your fleet, including your motor grader, is an economical solution that can reduce equipment costs for your operations. Our used parts experts will help you determine the right solution for your motor grader while meeting your expectations for quality and budget. You also have the opportunity to exchange your parts for remanufactured ones. Sourced from genuine Cat equipment, our reman parts perform and operate long-term like new components. MacAllister professionals restore the remanufactured pieces to specific factory specifications by putting them through a strict remanufacturing process for immediate installation solutions. We test each one to ensure quality and performance. Order online 24/7 by visiting Parts.Cat.Com for high-quality, dependable motor grader parts. With more than 1.4 million new, used and exchange and reman parts available, you can order from any device while checking availability and prices for exceptional convenience. From the beginning, middle and end, MacAllister specialists are here to help you improve and maintain your equipment. Receiving support from one of the largest Cat dealers in the U.S. gives you access to our distribution centers. 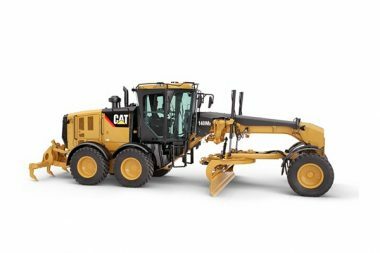 We have a vast inventory of motor grader parts and offer simple online ordering of genuine Cat parts. 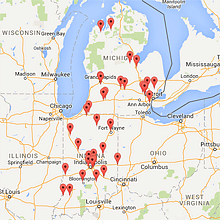 MacAllister also has delivery and pickup options and drop box locations for added convenience. Working with the experts allows you to experience our more than 70 years of experience serving the local area. Order your motor grader parts online now, visit one of our locations or contact us for more information. We will help you determine the best solution for your business that also matches your price point.